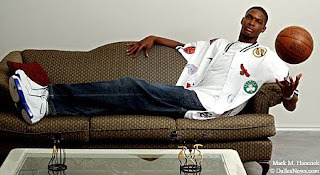 Miami Heat forward Chris Bosh returns to Dallas as a star to challenge the Mavericks for the NBA title. 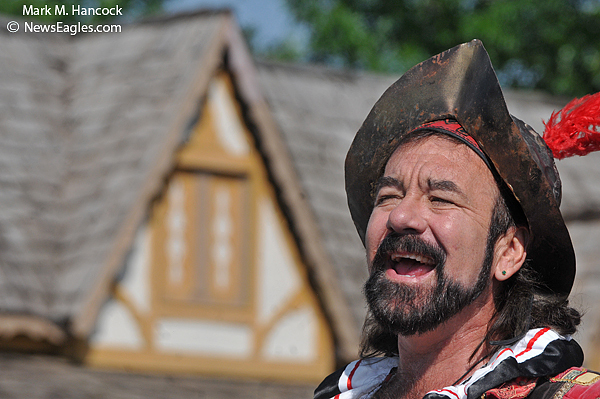 No matter which team wins the championship, Dallas wins. The future location of Chris Bosh and his basketball career is in the air as the longer-than-the-family-sofa NBA draft prospect poses for a portrait at his home in Lancaster on Sunday, June 22, 2003. 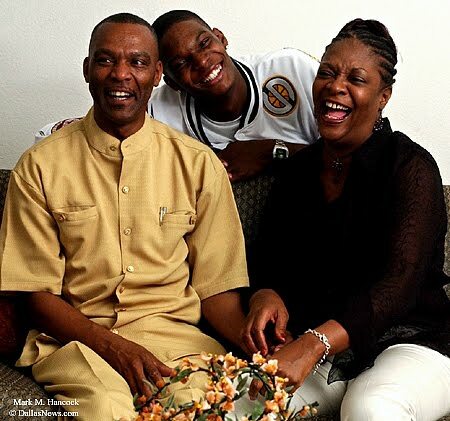 NBA draft prospect Chris Bosh (center) shares a laugh with his parents Noel (left) and Freida (right) at the family's home in Lancaster. 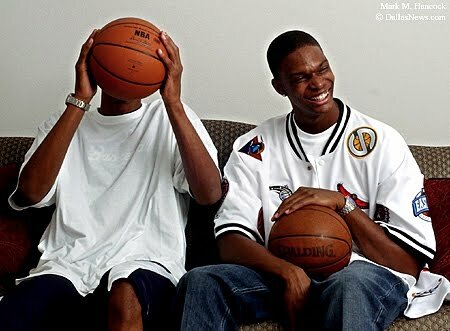 Bosh is a former Lincoln High School basketball star. He is entering the NBA draft after his freshman season at Georgia Tech. 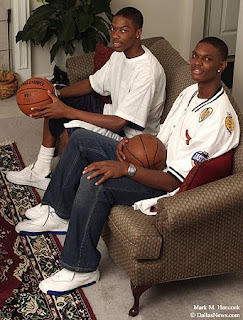 NBA draft prospect Chris Bosh poses with his 17-year-old brother Joel (left) during a portrait session at the family's home in Lancaster. NBA draft prospect Chris Bosh (right) laughs as his 17-year-old brother Joel (left) hides following his own joke at the family's home in Lancaster. 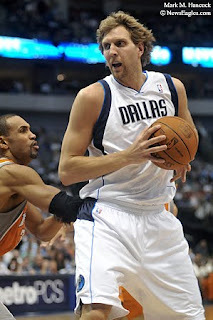 Dallas' Dirk Nowitzki (41) looks to make a move around Phoenix's Grant Hill (33) during an NBA basketball game at American Airlines Center in Dallas on April 10, 2011. Dallas battles Phoenix during an NBA basketball game at American Airlines Center in Dallas. Named in this slideshow are: Dirk Nowitzki, Steve Nash, Grant Hill, Jared Dudley, Rodrigue Beaubois, Tyson Chandler, Peja Stojakovic, Vince Carter, Josh Childress, Rick Carlisle, Corey Brewer, Jose Juan Barea, Aaron Brooks, Hakim Warrick, Robin Lopez, Jason Terry, Brendan Haywood, Shawn Marion and Garret Siler. 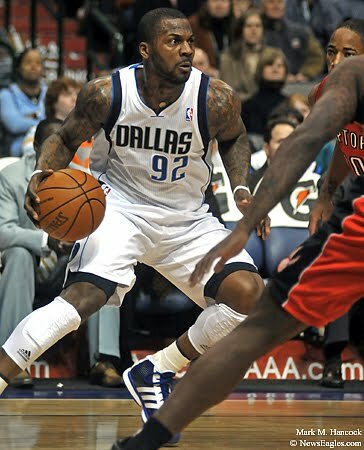 Mavericks' DeShawn Stevenson (92) looks for an opening in Toronto's defense during an NBA basketball game at American Airlines Center in Dallas. The Dallas Mavericks battle Toronto during an NBA basketball game at American Airlines Center in Dallas on Dec. 28, 2010. Named in this slideshow are: Dirk Nowitzki, DeShawn Stevenson, Shawn Marion, Amir Johnson, Jason Kidd, Jerryd Bayless, Caron Butler, Jason Terry, Ed Davis, DeMar DeRozan, Jose Juan Barea and Julian Wright. 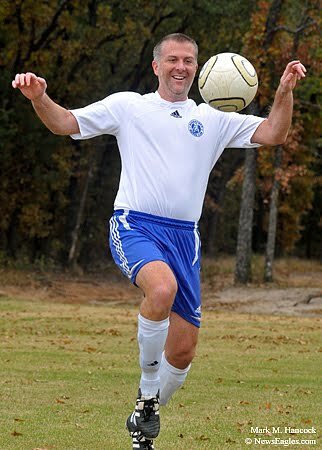 Brian Brown of Dallas poses for a portrait at Premier Park in Balch Springs on Nov. 21, 2010. Brian Brown of Dallas plays during a league soccer game at Premier Park in Balch Springs. 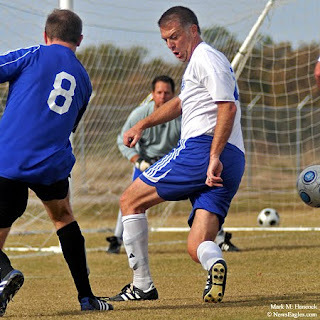 Sporting equipment makes excellent gifts for athletes of all ages. 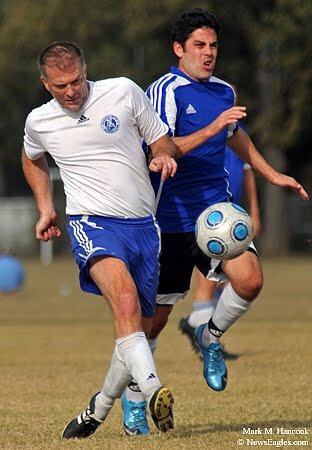 Brian Brown of Dallas, left, kicks a ball during a league soccer game at Premier Park. From shin guards and cleats to helmets, a variety of specialized equipment is required for each sport. 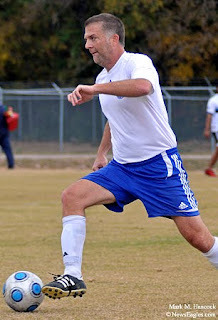 Brian Brown of Dallas defends during a league soccer game at Premier Park in Balch Springs. Lovejoy junior Zander Hamilton (5) powers into Celina's defense during a Class 3A Division I second-round playoff football game at C.H. 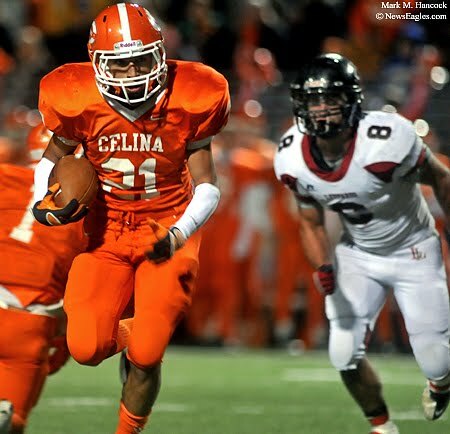 Collins Complex in Denton on Nov. 19, 2010. 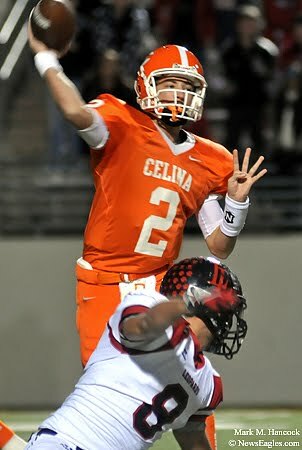 Celina senior quarterback Jacob Stephenson (2) passes over the head of Lovejoy senior Ticer Havens (8) during a playoff game at C.H. Collins Complex. 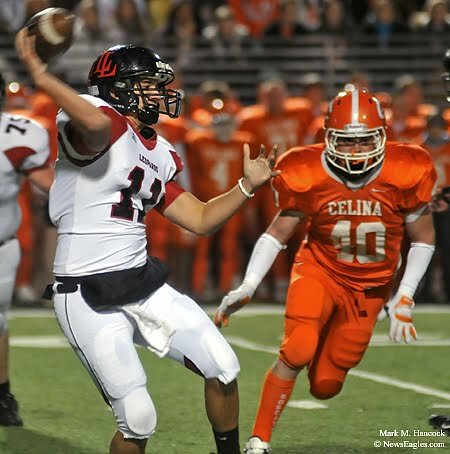 Lovejoy senior Blake Westback (41) deflects a pass intended for Celina senior Daniel Mendoza (21) during a football game in Denton. Celina senior Daniel Mendoza (21) rushes as Lovejoy senior Ticer Havens (8) gives chase during a game at C.H. 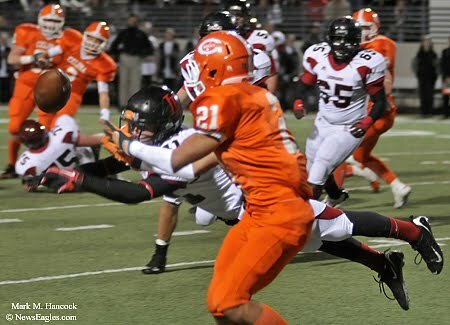 Collins Complex. Lovejoy senior quarterback Ryan Lusby (11) passes as Celina senior Dallas Russell (40) approaches during a playoff football game in Denton. 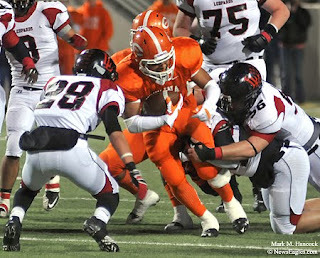 Celina senior Anthony Garcia (3) rushes into Lovejoy sophomore Austin Turnbow (28) as junior Nate O'Connor (56) assists during a Class 3A Division I second-round playoff football game at C.H. Collins Complex in Denton. 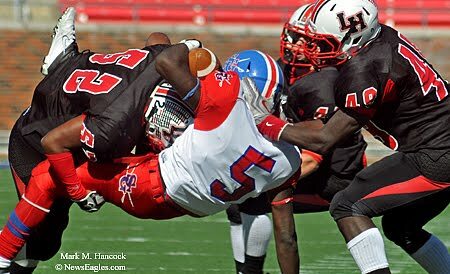 South Garland's Cory Sherman (5) get a big hit from Lake Highlands' Clinton Hardemon (52) as Zach Knickman (44) and Randal Howard (49) assist during a Class 5A playoff football game at Ford Stadium at SMU in University Park on Nov. 13, 2010. South Garland battles Lake Highlands during a Class 5A playoff football game at Ford Stadium at SMU in University Park. 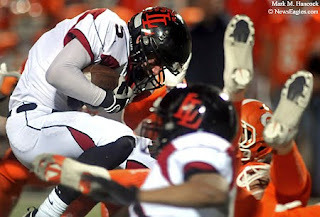 Named in this slideshow are: &nbsp Reece Loyd, Stephan Turner, Anthony Harris, Trever Abbott, Eric White, Dequincy Anderson, Desmond Roland, Jordan Davis, John Lacour, Jalen Broussard, Michael Wright, Brice Brooks, Devonte Sunwengham, Rashad Austin, Cory Sherman, Clinton Hardemon, Zach Knickman and Randal Howard. 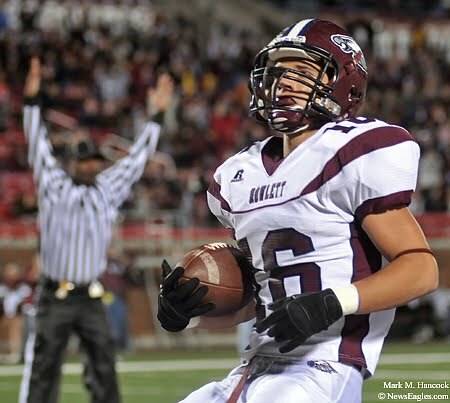 Rowlett senior Logan Brown (16) scores a touchdown against Jesuit during a playoff football game at Ford Stadium on Nov. 13, 2010 at SMU in University Park. Rowlett battles against Jesuit during a playoff football game at Ford Stadium at SMU in University Park. Named in this slideshow are: &nbsp Mike Savage, Victor Berry, Tyler Chase, Cory Perrymon, Treyvon Green, Gray Blankenship, Logan Brown, Jake Oliver, Samuel Oyenuga, Harry Corbin, X-Zavier Vitosh, David Kaplan, Victor Berry, Jared Bell, Christian Franz and Blake Glenn.